At different times in your life, you may find that you get a little stressed out about money. It’s only natural. Even if you’re usually quite a positive person and you tend to choose the glass half full kind of attitude, little things can often creep in. And it’s sweating the small stuff like this that can stress us out the most - especially when it comes to money. So let’s take a look at how you can overcome your worries in terms of three really big financial factors in most of our lives. First up, it seems to be a right of passage that we take several luxurious and interesting vacations each year. But guess what, the cost of this can rapidly add up. And that idea alone can stress you out. But don’t let it. You need to focus on your schedule, your budget, and your aspirations for the year to then come up with what you want out of life. And if that’s no travel one year, so be it. If you’re working towards something bigger, your sacrifices will always be worth it. Cars are cool, but they’re not essential. Just because your neighbors have a brand new car doesn't mean that you need one to prove that you’re equal. Car payments can be huge. And if you’ve rather put that money to better use, like the points above or below, then do it. Keeping up with the Joneses isn’t cool anyway! And finally, buying your first home is a huge pressure that so many of us feel. But you only have to check out the below infographic to find out that you’re one of the many. The statistics show that you don’t have to have it all sorted in your twenties. 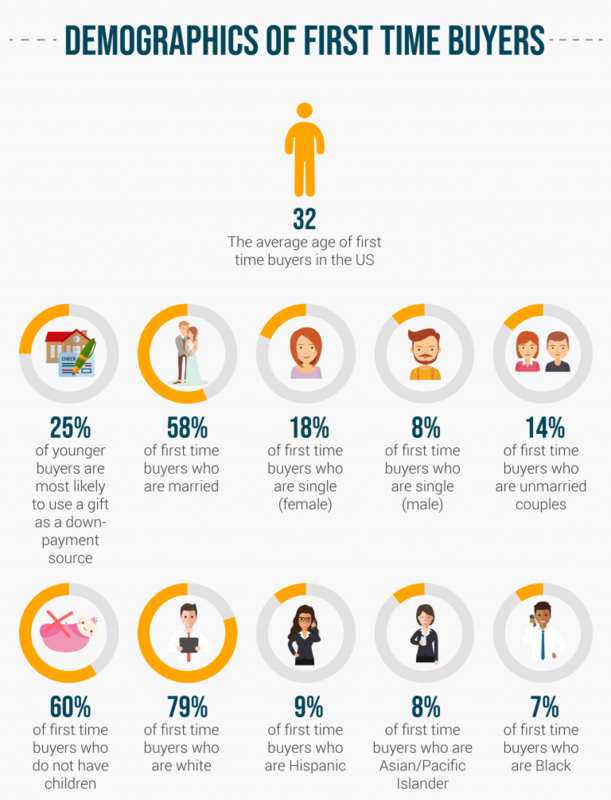 First time buyers come in all shapes and sizes - and your time will come.